The NOC is wholly owned by the NERC and brings together the NERC-managed activity at Liverpool’s former Proudman Oceanographic Laboratory and the National Oceanography Centre, Southampton, creating the UK’s leading institution for sea level science, coastal and deep ocean research and technology development. The new centre works in close partnership with institutions across the UK marine science community. A central goal of NERC’s strategy is the creation of more integrated research communities to tackle the greatest environmental challenges of our age, with marine science making a vital contribution. The National Oceanography Centre, working with its partners, is addressing key science challenges including sea level change, the oceans’ role in climate change, predicting and simulating the behaviour of the oceans through computer modelling, development, the future of the Arctic Ocean and long-term monitoring technologies. 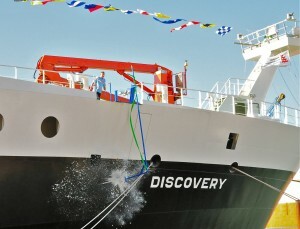 The vision for the National Oceanography Centre is that, by 2015, it is recognised as the world’s leading institution for integrated marine science and technology. Under a single leadership, but working collaboratively with partners both within the UK and internationally, it will place UK marine science in a wider Earth-system and socio-economic context, providing scientific knowledge that underpins policy development and wealth generation, and will aim to influence the European and global strategic research agenda. 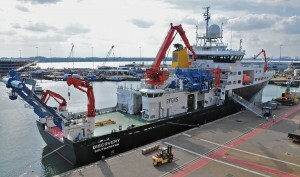 NOC operate on behalf of NERC two global multi-disciplinary research vessels the RRS Discovery and the RRS James Cook. These ships are made available for an average total of 550 days per year to the UK marine science community and their international collaborators. 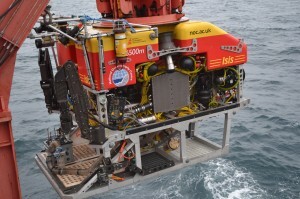 Operating world-wide and often in extreme environments, they are world-class platforms for marine science. 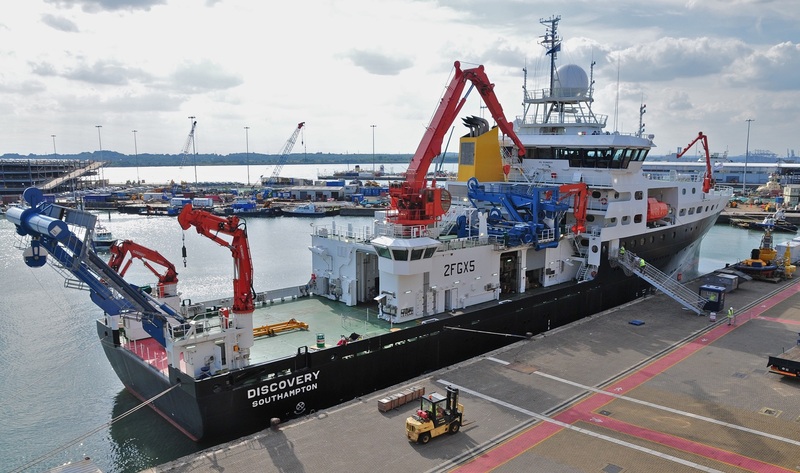 RRS Discovery, berthed outside NOC (top) and Isis deep-diving Remote Operated Vehicle (bottom) (credit: NOC 2013 & S. Hall; NOC 2013).